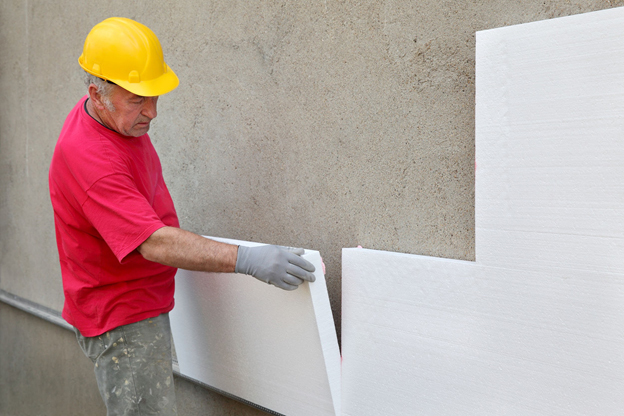 While you may not know it, EPS Foam Sheathing is one of the most popular insulation materials in both residential and commercial construction today. The product is great for reducing heat transfer and preventing moisture penetration, making it an ideal option for any homeowner. EPS Foam Sheathing has become an industry standard because of its many advantages over other insulation products. Let’s explore some of these benefits. Would you believe that EPS Foam Insulation is only 2% plastic? The other 98% of its composition is just air, which explains why the product is so lightweight and easy to handle. EPS Foam Insulation is also available in a variety of shapes and can be customized according to your specifications so that it fits your project perfectly. Its ease of use means that if you’re the DIY type, you can try installing it yourself. The right insulation can help homeowners save up to 10% to 50% on heating and cooling bills. EPS Foam Insulation is an especially cost-effective choice because it doesn’t lose its thermal resistance and maintains its long-term R-Value despite its age. As such, it doesn’t need to be replaced, it helps keep your home comfortable longer, and it helps you save on your energy bills, too. If the ease of use and cost-effective attributes didn’t convince you, the versatility will! EPS Foam Insulation can be used with a variety of construction products, like wood and steel framing and masonry, and can be easily fastened respectively with nails, screws, and/or staples, and spot adhesives. Its versatility doesn’t stop there, though. EPS Foam Insulation can be used throughout structures in the walls, roofs, and foundations of your home with different densities to meet the structural R-value requirements. If you’re planning a new construction project or a large renovation, be sure to consider updating your insulation to a superior product, too. When you’re ready to chat or request a quote, give us a call at 208-734-7426 or contact us online! We are ready to help you get your project started.